Restaurant Fishmarket was re-opened in May 2013. It serves wide selection of sea and fresh water cuicine like fish, roe, lobster, craysfish, oysters and shellfish. If you like to eat meat choose some other restaurant, because there is no single meat food on the a la carte list. Fishmarket is located in Torikorttelit next to the Market Square (Kauppatori) on the ground floor of the same building as restaurant Sasso (see Sasso review by using search). Decor is modern and luminous after change in ownership and property renowation. 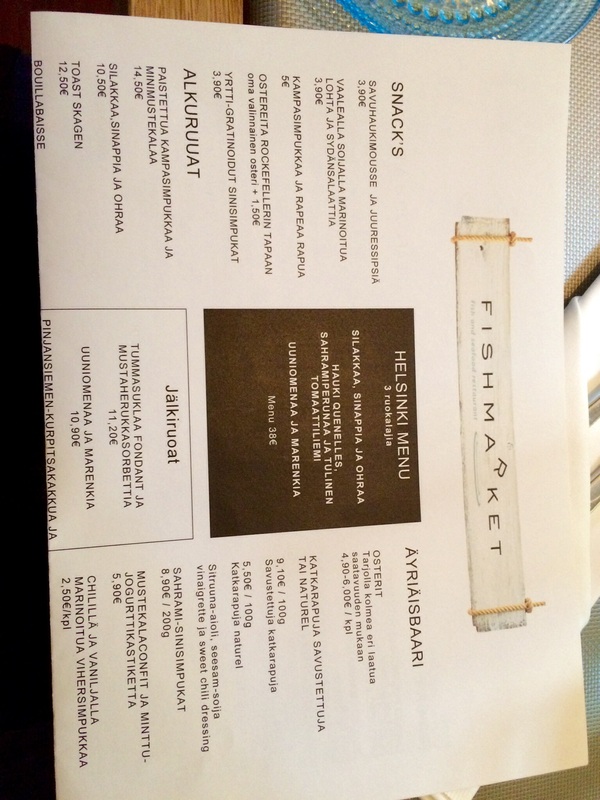 Visited Fishmarket last year, review also can be found at reijosfood.com. You could choose from different kind of seafood platters and even eat those at seafood bar, if you do not like standard dinner tables. We decided to choose “basic” fish portions, which meant again long waiting times. Last time restaurant served kitchen greetings in glass jar but not anymore. Menu had changed also; sorry for the Finnish menu in the first picture. Menu is not so ambmitious anymore, even Fish and Chips are available. 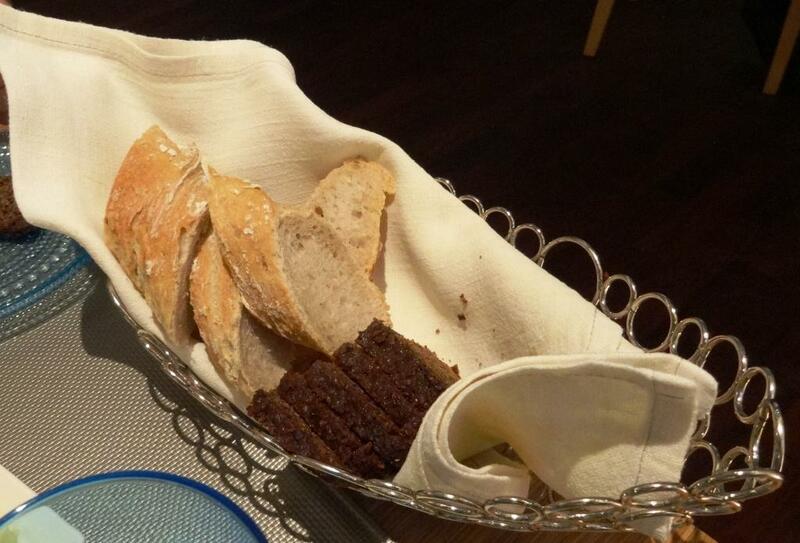 Excellent Sweet archipelago bread and home made yeast bread with salted butter were brought to the table first. No changes for these goodies. For starters ordered Snacks and Pan fried scallop with mini octopus. Snacks was new on the menu, maybe tapas type of dishes are becomming more common? 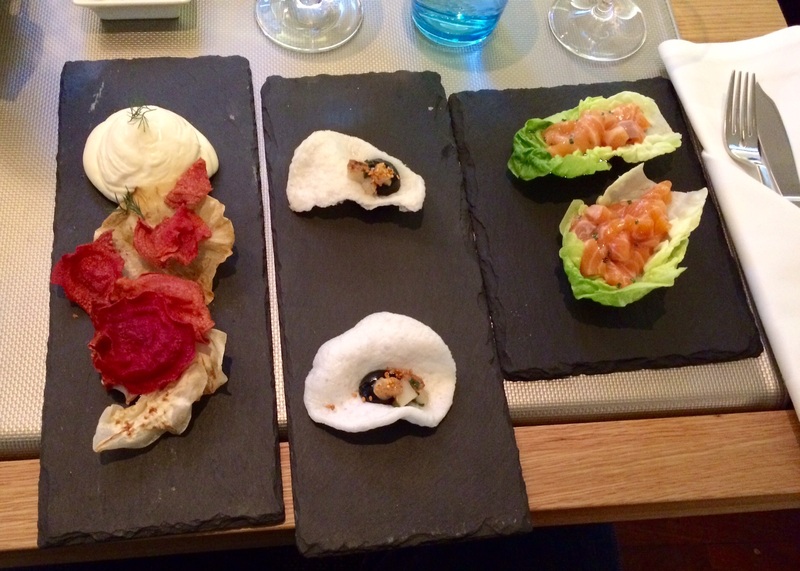 For snacks chose Smoked pike mousse with root vegetable chips, Light soy marinated salmon with baby gem. All three snacks were enjoyable. Hoped that mousse would incude some pieces of pike, but it was pure mousse with taste of pike. Salmon is always delicious but could not find any taste of soy in this case, maybe forgotten. Combination of small scallops and crayfish on cockleshell tasted good. 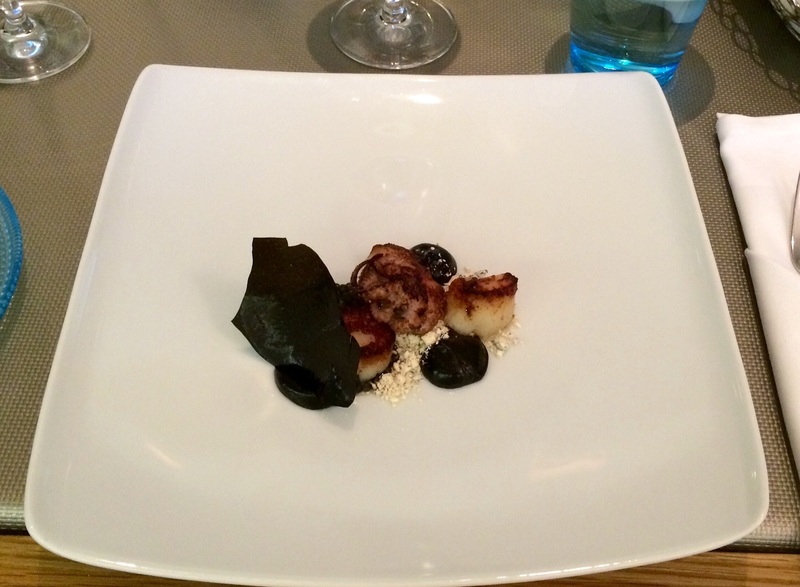 Unfortunately pan fried scallops were already cold when they were brought to the table. 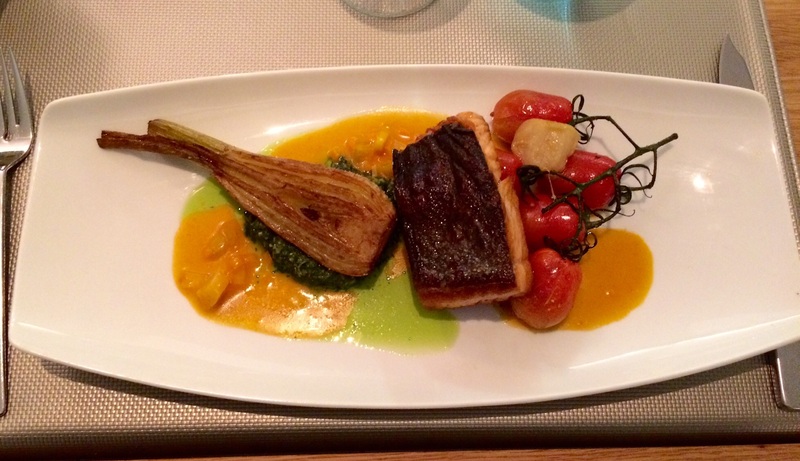 Main course dishes were Grilled turbot with carrot sauce and Pan fried salmon with deep fried fennel and spinach-pesto. 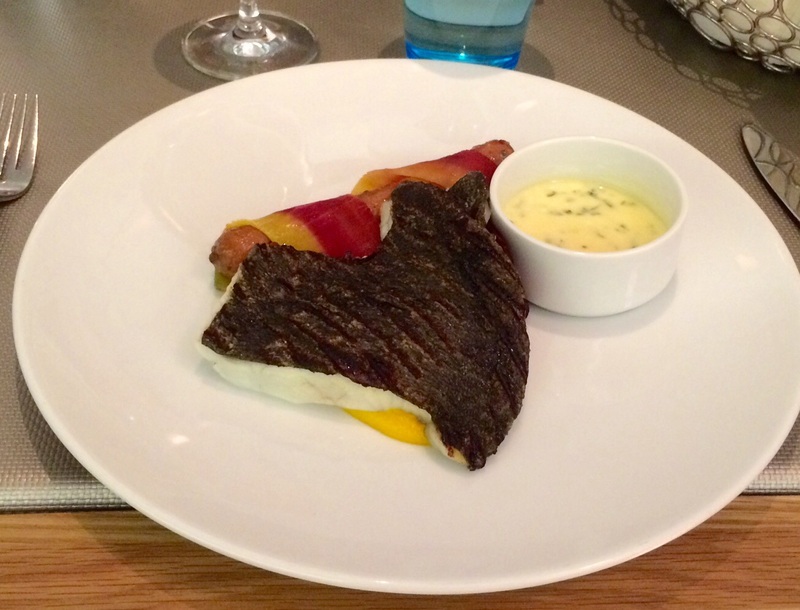 Turbot included some fish bones and scales, which was odd for this restaurant. Fish was also a little bit overcooked. Salmon was perfectly fried, some rose still inside of fish. As salmon is quite greasy itself, maybe oily pesto is not perfect partner for it. For desserts had Dark chocolate fondant with black currant sorbet and Sorbet. Actually asked to replace sorbet with vanilla ice-cream but is was first forgotten. Got vanilla ice-cream in separate cup after reminding it. Replaced the sorbet with vanilla ice-cream, therefore plate seems a little bit messy. Maybe new portion would have been better idea. 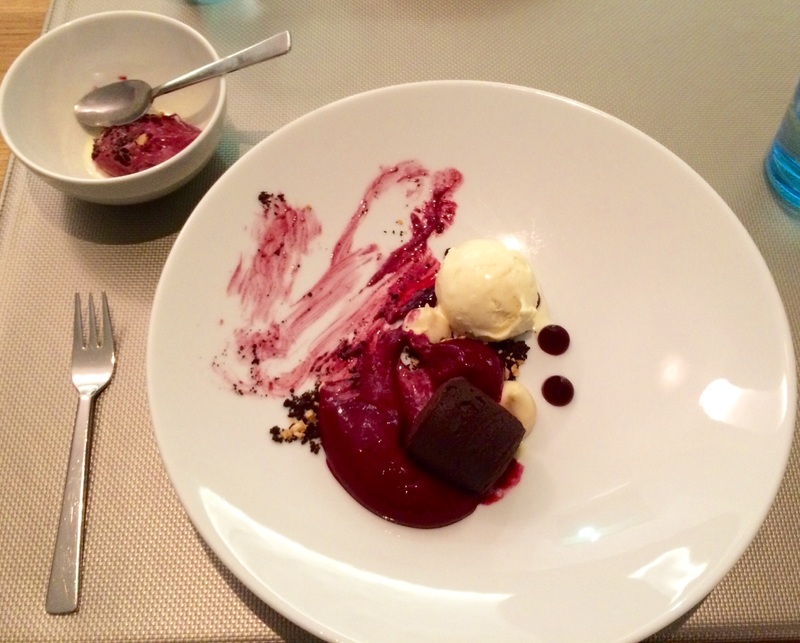 If you like black currant, then you like home made sorbet, which was the choise for another dessert. One extremely positive thing is the wide selection of riesling wines. Too often you have to choose from few alternatives because chardonnays and savignon blancs dominate wine lists, but at Fishmarket you really can celebrate with rieslings. 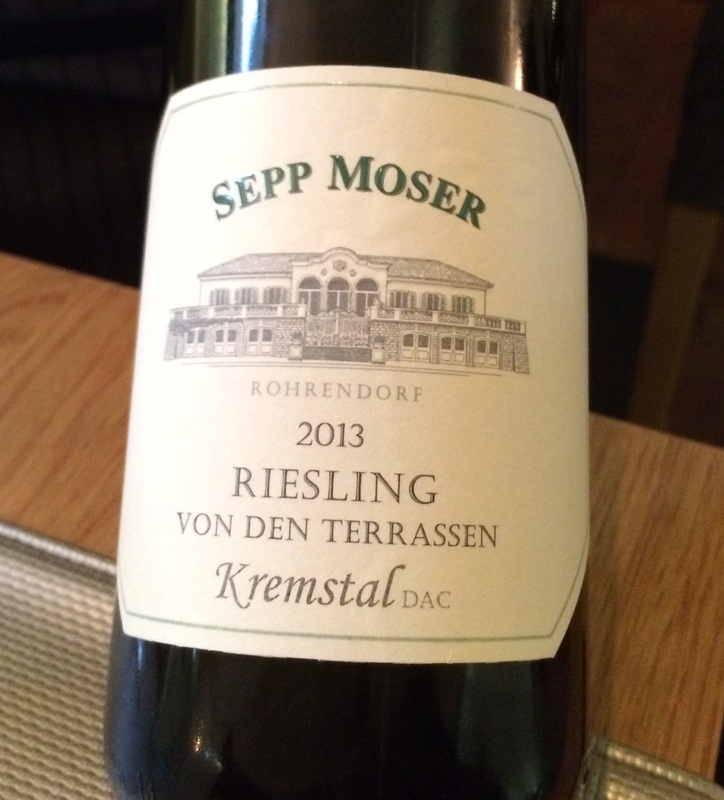 Chose Sepp Moser Riesling von den Terrassen from Austria, which was excellent. Definately right balance of acidity, minerals, fruits and taste of petrol. Not too much, but enough. The color of wine is more yellow than rieslings usually are. 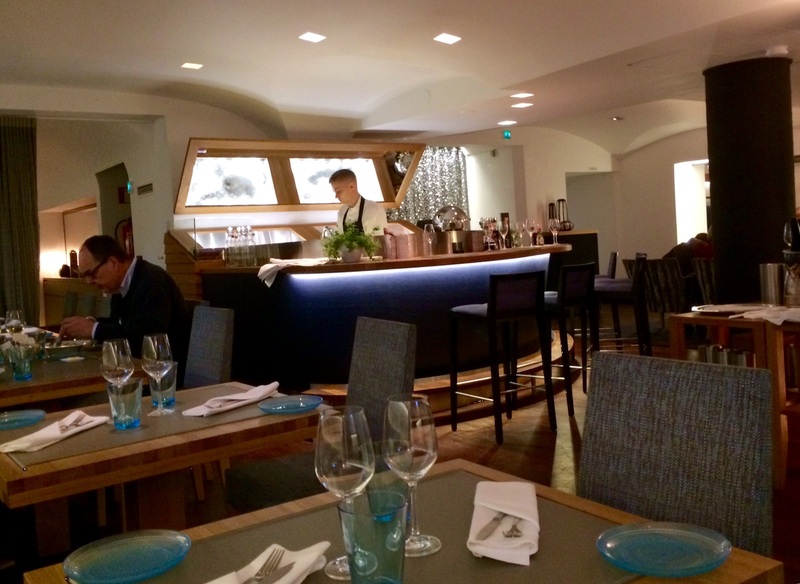 Fishmarket had all prerequisites to be the best seafood restaurant in Helsinki. Food is good but maybe again one waiter was missing because service was quite slow. Therefore it might make sense to order platters for starter or main course because you can pass the time by opening crabs. Had to drop points for food and overall grade from last visit. The change in menu impacted to portions, which were on the other hand also more affordable. I really liked Fishmarket. I had some of the best food I have eaten in Helsinki. Haven’t been here since the opening party. The prices seem quite reasonable for Finland, right?